E-mail is the not only the best way to spread a malicious piece of software but it's also the most convenient way for spammers to waste you and your company's time and resources. Raptor.pccc.com is Peregrine Computer Consultants Corporation's web portal for everything related to Raptor E-mail Security, including reports, setting your personal spam settings, and where your email can be found if your server goes down. But often times blocking malware and spam yourself requires costly software and hardware as well as dedicated IT staff. Let us handle the headache instead! As experts in anti-malware and anti-spam, PCCC uses our servers to provide your firm with our Raptor E-Mail Security -- The first and best line of defense against virii/trojans/worms/browser hijackers/key trackers/backdoors/adware/spyware and spam - before it reaches your mail server. The Raptor E-mail Security algorithms help eliminate SPAM through robust content scoring techniques, not clunky blocking techniques. These scoring techniques also aid in discerning and accepting HAM over SPAM. But protecting your e-mail inbox isn't the only thing we provide. We also provide backup mail services in case your server is unavailable, overwhelmed or cut-off from the internet. Because of this, in the event of an extended outage, we can re-route your mail to a new server, a temporary server or even provide worst-case solutions such as web-based e-mail. And we also extend the edge of your email network to reject invalid emails before the email is accepted to stop dictionary attacks in their tracks! For these reasons, Raptor E-mail Security is a best of breed product for business at quarantining SPAM without losing legitimate email to false-positive flagging/deletion. Need more? Crazy solutions are our specialty! We provide solutions and work outside of the box for many of our Raptor customers! A: At PCCC we use the term malicious software, or malware, to encompass ALL threats to your machine. This includes viruses, adware, trojans, worms, key trackers, backdoors, and spyware as well as other threats. The term virus refers specifically just one type of malicious software that can spread itself. As Wikipedia puts it, "the term "virus" is also commonly used, albeit erroneously, to refer to many different types of malware and adware programs." We protect you against all of these threats without worrying about the nuance technical differences between a worm, virus, trojan, etc..
A: The cost above reflects a 10% discount for annual payment. However, as always, we know how to divide by 365 and we do NOT keep customers with contracts or attorneys. We keep customers only through exemplary service and support. At any time, if you are not satisfied, you need only contact us to cease your services which we will do quickly and professionally including a refund to the day. Q: What if I use more than one Domain? A: We provide seamless and interchangeable use of as many domains as you would like that use the same email address names. So if you still want your email to your old company domain to work but you want it to replace the destination with your new company domain, it's easy. We call this "Domain Mirroring" and emails sent to username@domain1.com can easily be redirected to username@domain2.com. And it's included at no additional cost! (as low as $1.60 per user per month) Waived and the 1st month is free! (as low as $1.50 per user per month) Waived and the 1st month is free! (as low as $1.40 per user per month) Waived and the 1st month is free! (as low as $1.30 per user per month) Waived and the 1st month is free! 701+ email addresses Please contact us to discuss pricing! Service Provider? We also have special features and pricing for you. Contact us for a live, no cost demo! Peregrine Computer Consultants Corporation also offers the following services if your network is impacted by spam and malware. PCCC specializes in isolating viruses on a corporate network to quickly and efficiently restore your network to full operational status. We can provide comprehensive backup, remediation and prevention services to fix the problem and keep it fixed. In addition to being a nuisance to your inbox, spam can cause issues like bringing down a server. In these scenarios, where workflow is getting delayed because of missing emails, PCCC can act quickly and efficiently at blocking the spammers and bringing your mail server back to functioning correctly, all the while providing alternate routes for your email so you can keep working. Email deliverability is PCCC's term for the proactive work needed to keep email flowing. Our email experts can advise you with system configuration, outbound email services, keyword analysis, newsletter methodology to proactively improve your email deliverability. And if you are having troubles sending email to legitimate, opt-in mailing lists or you used questionable marketing tactics previously, PCCC can help get you back on track. 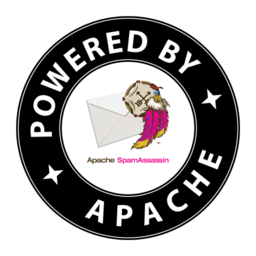 Apache SpamAssassin is one of the key components in our spam filtering process. Our firm has supported the project both through donated resources as one of the original hosts for web/DNS as well as donating considerable time and code to this open source project. We also provide one of the SpamAssassin sa-update mirrors. We also use, recommend and support Roaring Penguin's MimeDefang and feed data to the Roaring Penguin Blacklist (RPBL). Public server operator for the Rhyolite Distributed Checksum Clearinghouses (DCC). Creator, maintainer and public mirror for the PCCC Multi RBL. Creator and public mirror for KAM's anti-spam rules, KAM.cf. Maintain the E-mail and Anti-Spam Compendium for System Administrator's looking for a crash course in e-mail and anti-spam.